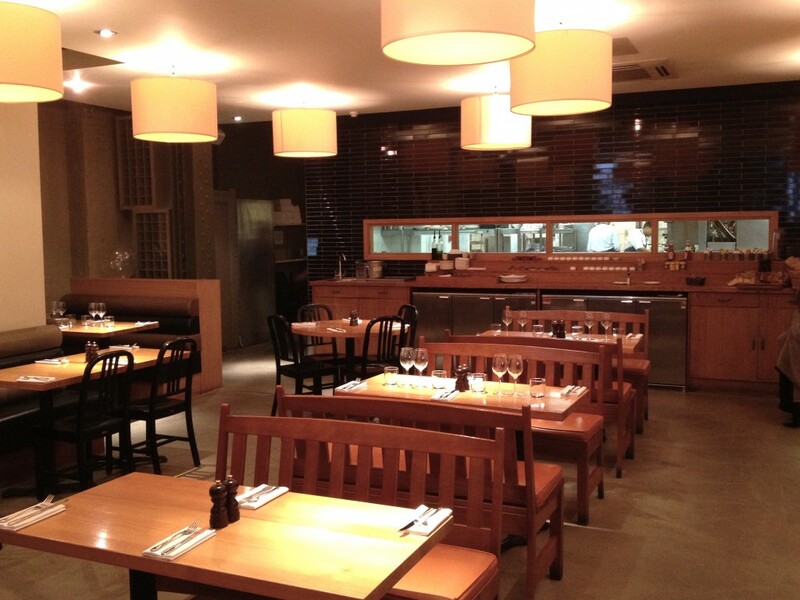 I spent my first few years in Chiswick and back in the early 1960s it wasn’t a place you went to eat. There was the mysteriously named 007 Restaurant that seemed like a palace of forbidden pleasures to a young boy, and, near to where Sam’s is on the High Rd, glowing like Las Vegas in the desert stood an American style ice cream parlour called Mylos-which I was banned from because my mother had heard that ‘it wasn’t clean’. These days with the influx of city and media money there are plenty of options to choose from. Hedone and La Trompette rule the top end and there is every mid-range chain outlet you could imagine to soak up the yummy mummy money. 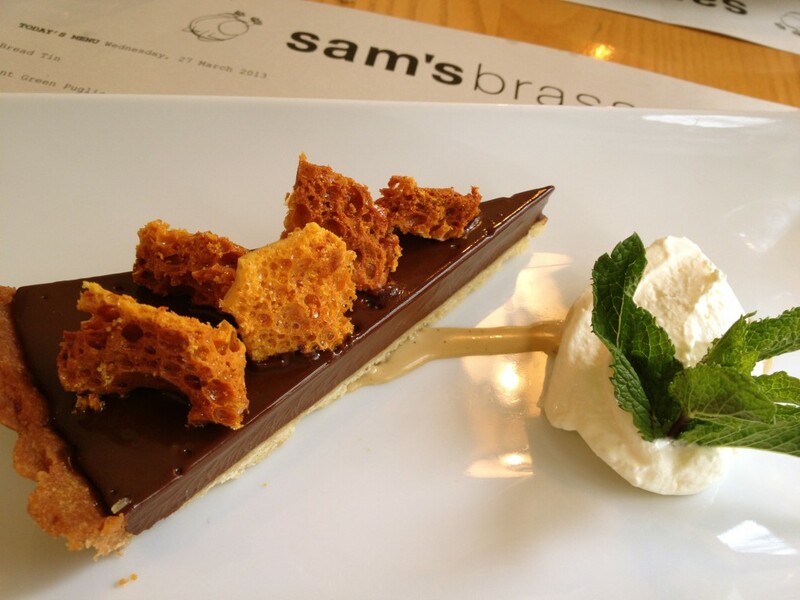 Sam Harrison is a restaurateur with a mission. He is slowly building a group of Modern European Brasseries in the London suburbs delivering something more idiosyncratic and better quality than the chains can manage whilst keeping prices at a reasonable level. 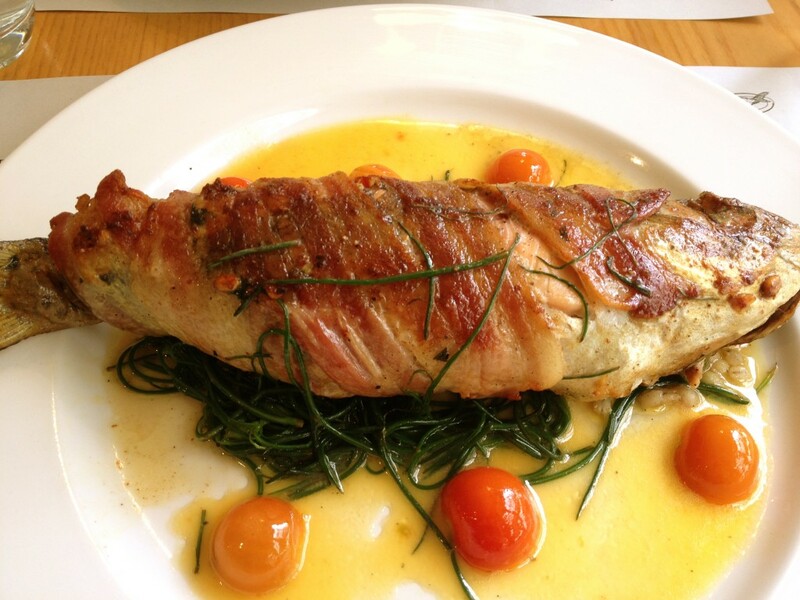 Having worked front of house for Rick Stein he opened Sam’s in 2005 with backing from the King of Padstow and Harrison’s in Balham more recently (see our review). Situated in a converted paper factory the room retains its industrial character but this has been softened through the use of wood and contemporary light fittings. There is a longish zinc bar and an area for drinking and lighter bites as well as the main restaurant. With live jazz and soul on the weekends it is positioning itself as your ideal local hangout if you want a drink, some food or entertainment. Would it deliver? 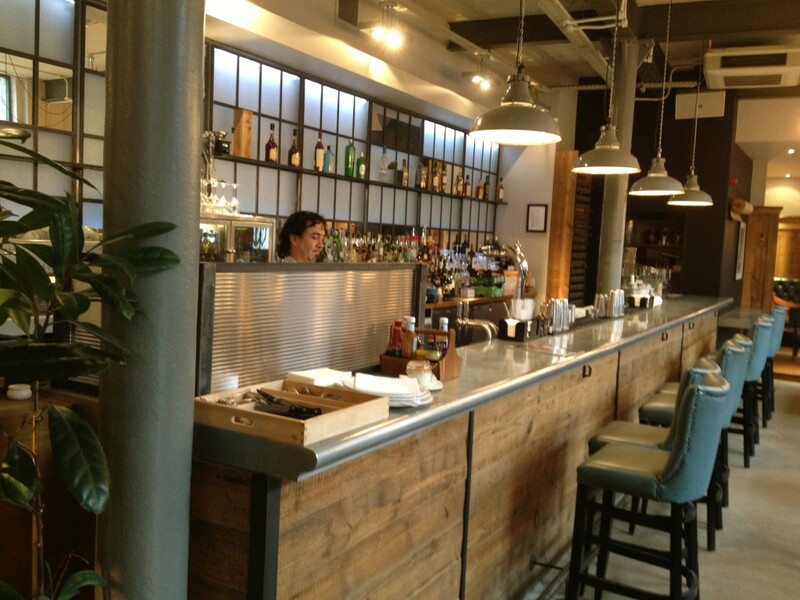 The bar features an extensive cocktail list; classics such as a Cosmopolitan, Negroni or Manhattan, long, champagne-based or virgin blends and then Sam’s favourites-mostly Martinis. Prices are around the £8 mark. I didn’t want anything too strong so went for an Aperol Spritz (£6.50). 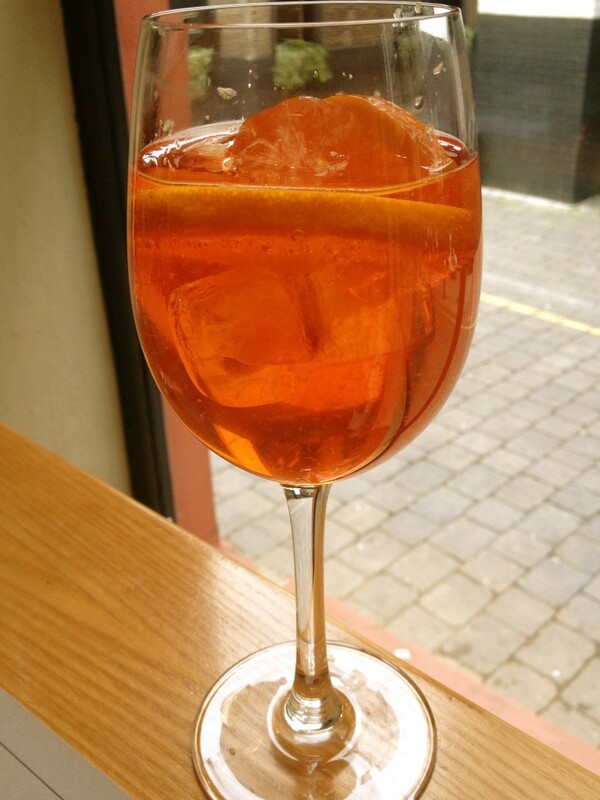 Aperol is similar to Campari but sweeter, less alcoholic and with a distinct orange flavour. Mixed with prosecco it is one of the great Italian aperitifs and on a grey day it has a definite cheering effect. The bar menu is long and varied with small bites ranging from £1.50 for a bag of ‘brown bag’ crisps to bigger plates of food such as Ham Hock Terrine with a Celeriac Remoulade (£7.50) or a Sam’s Cheeseburger with relish and chips (£12). But my companion Fiona from London Unattached were here to lunch properly and not have a burger-it was her birthday after all. Some of the bar snacks double as small plate starters and so Fiona who had been out for a large steak the night before, chose the Padron Peppers with Maldon Sea Salt (£4.50) and the Hummus with Flatbread (£3.50). 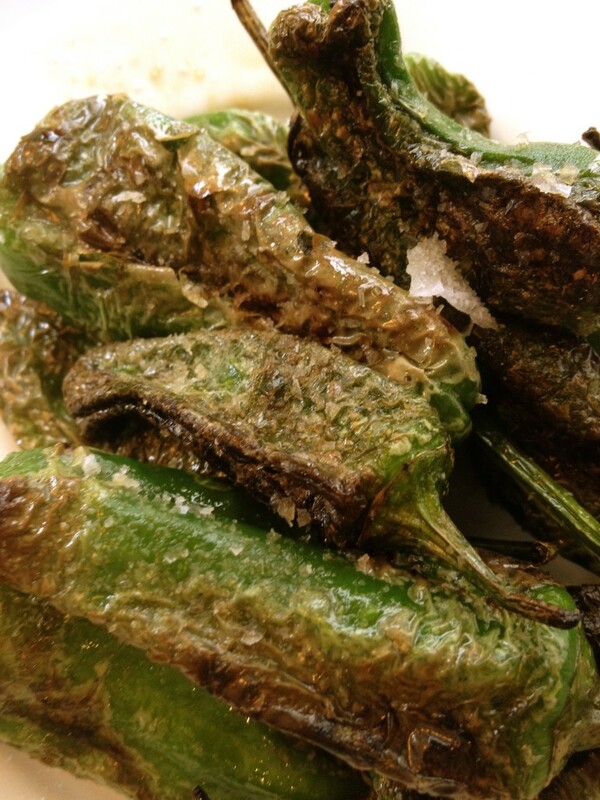 The peppers, which come from the Galician province of Padron in northern Spain, were fried in olive oil and served with good salt. It’s a simple dish that is to be found in the better tapas bars-the piquancy and occasional heat of the peppers is softened by the oil and offset by the sharpness of the salt. What is interesting is that in a little joint off the Chiswick High Rd they got it right. 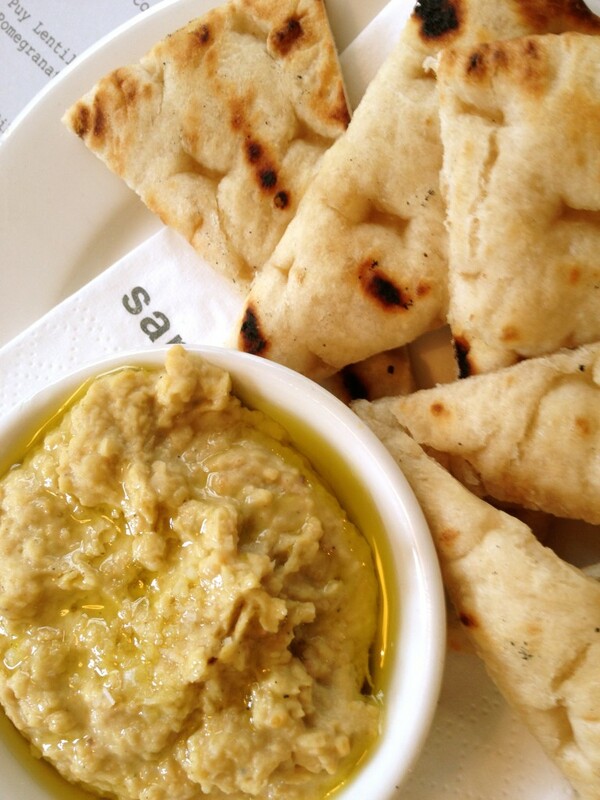 The hummus was also better than it needed to be. Well spiced and with enough oil to be satisfactory it had texture and that delicious earthy taste. 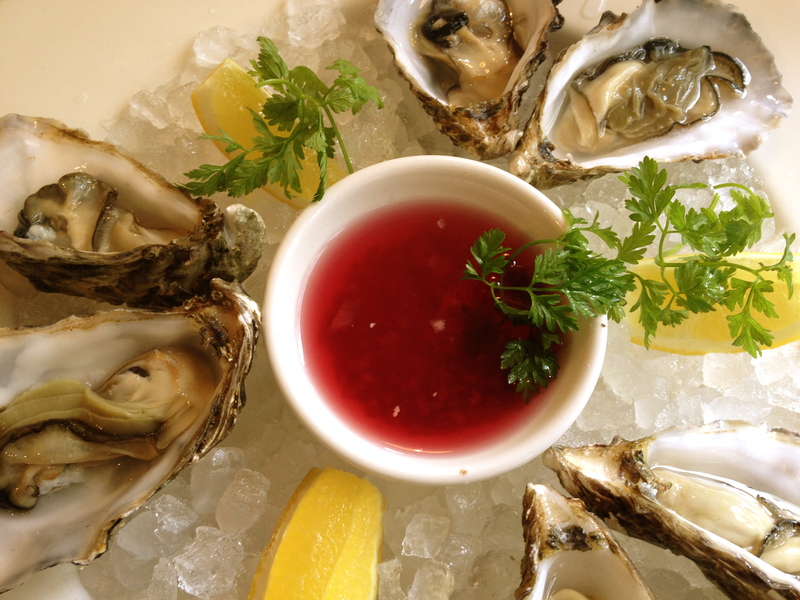 As I was feeling a bit jaded I went for half a dozen Maldon Rock Oysters (£2 each). Smooth textured, creamy and served with a red wine and shallot sauce, I soon got my required mineral hit helped along by a couple of glasses of a young well-rounded 2012 Sauvignon Blanc from the Morton Estate in Marlborough, NZ (£20.75 for a 500ml carafe). 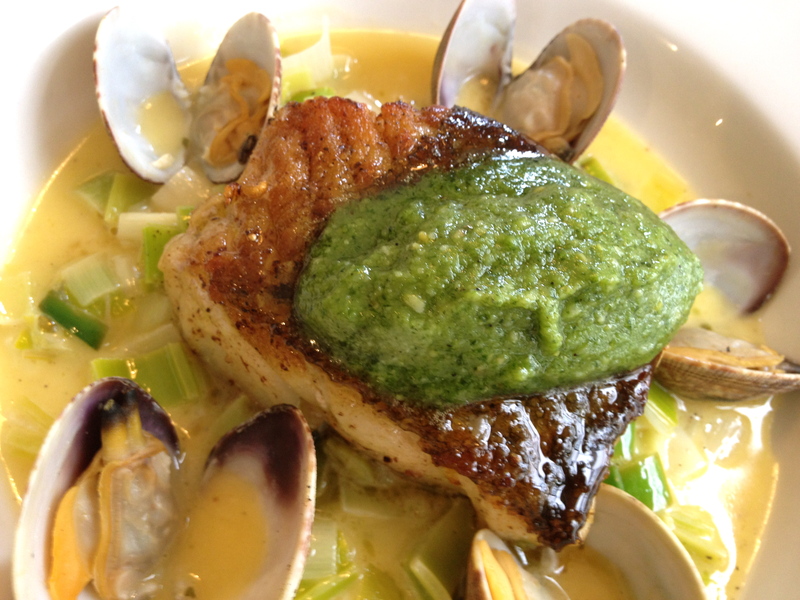 Roast Cod, Buttered Leeks, Clams, Chervil Pesto (£16) was a lovely dish. The leeks were soft and sweet and the cod fresh, firm-bodied and full of flavour and not overwhelmed by the light aniseed taste of the chervil pesto. 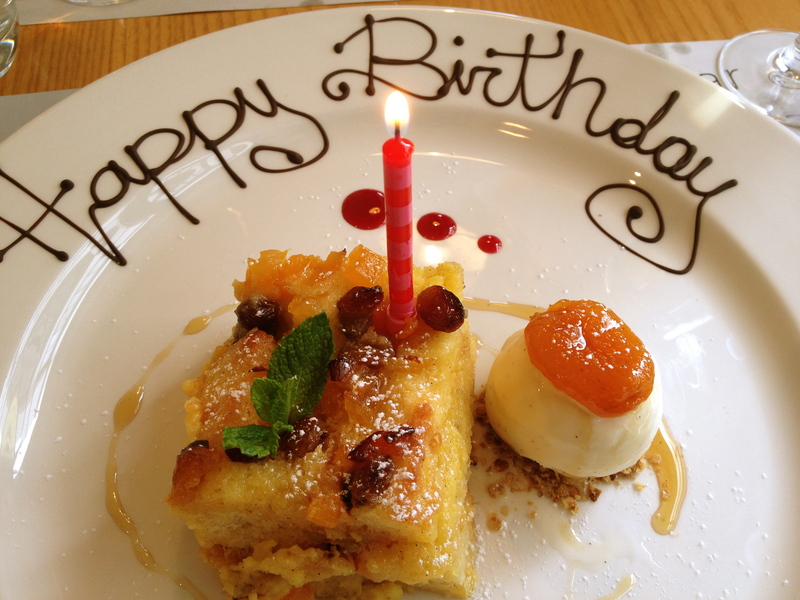 The birthday girl’s Brioche Bread and Butter Pudding (£6.50) came and went so quickly that I didn’t get a chance to taste it but she pronounced it to be excellent. To wash down our desserts we tried the two sweet wines on the menu: a punchy 2008 Sauternes Chateau Petit Vedrines from Bordeaux with notes of orange peel and citrus which matched the chocolate perfectly and a lighter pineappley 2008 Riesling Noble Rot from Seresin in Marlborough, NZ. that worked well with the bread and butter pudding. 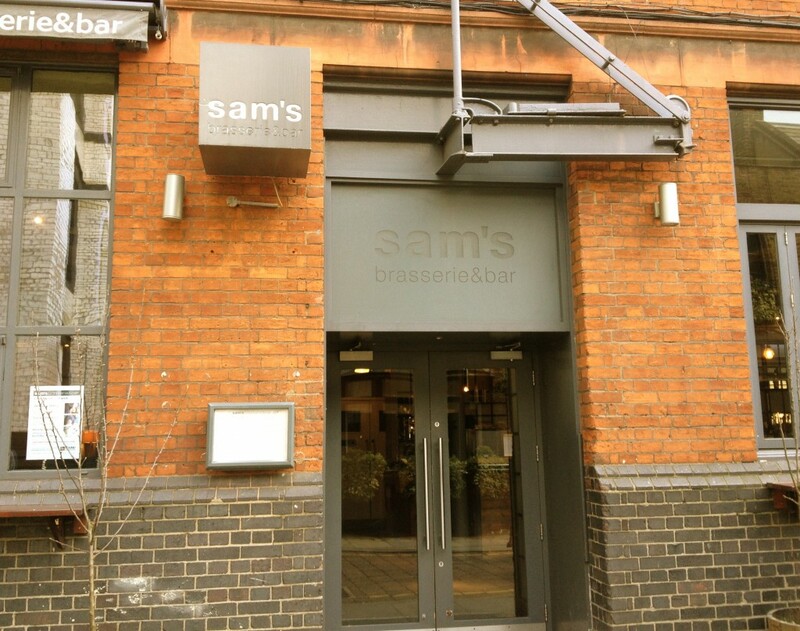 With his small group of restaurants it doesn’t feel as if Sam Harrison is trying to reinvent the wheel, but genuinely wanting to provide what we all want-a relaxed local hangout with good food and drink, enough variety to bring us back and some entertainment on the weekend. It sounds as if it should be easy to pull off but it isn’t and he manages it. The restaurants are able to punch above their weight on the food front at a price point that is reasonable and I for one will be back.